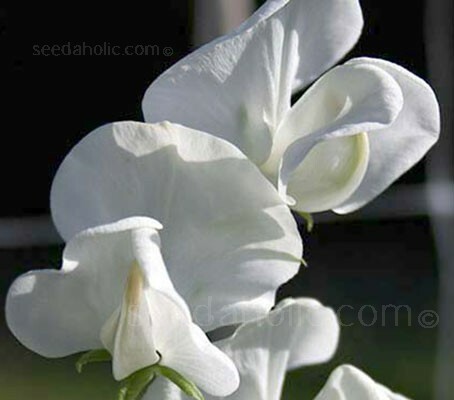 During the mid 1880's the sweet pea became established as a popular garden plant and various plantsmen experimented with cross pollination and introduced new varieties. 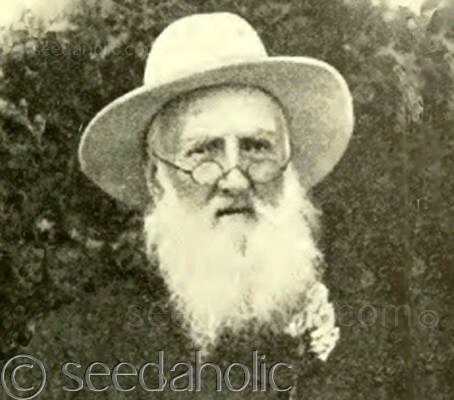 However, it was the work of a Scotsman, Henry Eckford, living in Wem, Shropshire who secured the future of the sweet pea. By skilfully crossbreeding he produced many new varieties, in new colours, with improved flower size and length of stem. 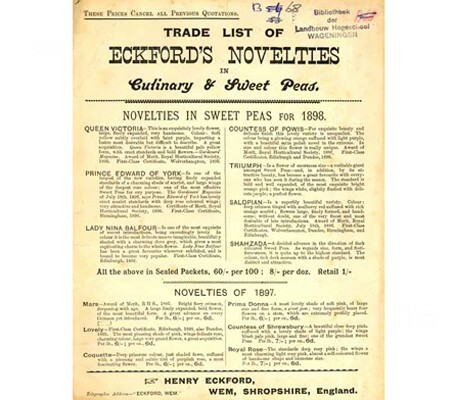 These varieties produced by Eckford are known as the ‘grandiflora’ or ‘old-fashioned’ sweet peas, they became very successful commercially as cut flowers and were widely grown by horticulturists for exhibition. By 1900, sweet peas had gained tremendous popularity. Considered superior to the early pure white Spencer Sweet Peas, Dorothy Eckford remained an important commercial cut flower until about 1920, it has regained favour recently due to its beautiful form and perfume. Lathyrus odoratus 'Dorothy Eckford' was awarded the Royal Horticultural Society’s Award of Garden Merit (AGM) in 1995. 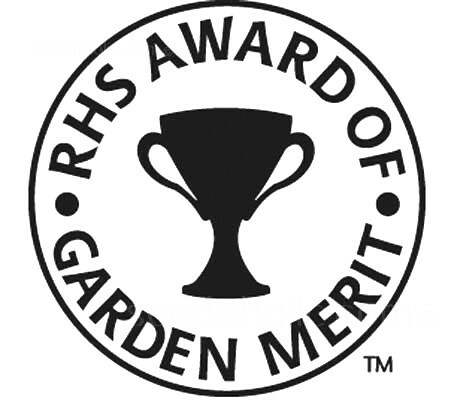 A key indicator that this variety is worth growing in your garden.